When you need complete insulation from sound and noises from outside the window, single or standard windows are not enough. While using thicker glass can help you with some but not completely. Thus, double glazing windows offer the best shield to the external noise. Generally larger the gap between the pane better is the soundproofing provided or just adding a thicker layer of glass can also help decrease the effect of sound. Along with soundproofing, double glazing windows tend to insulate homes in better way, this results in better energy efficiency, reducing heat loss or absorption and increased security. Thus, double glazing can be chosen over the standard window settings if you live on the main roads with huge traffic. If you are looking for how to soundproof windows, Easiglaze is at your service. 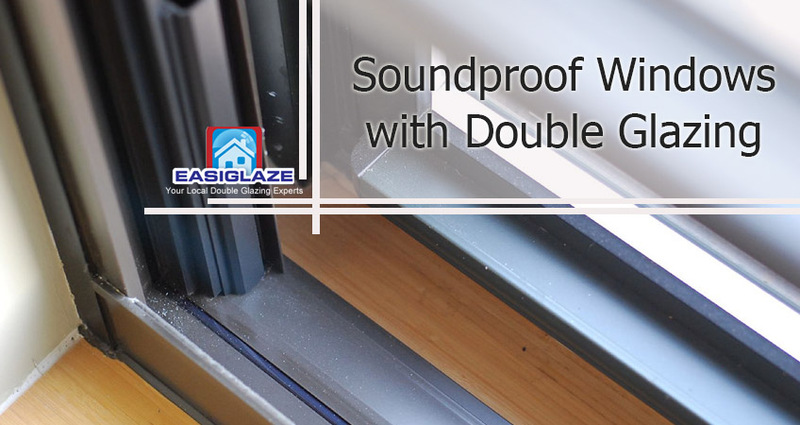 With that said, if you wish to install soundproof glass door, soundproofing existing windows or just get double glazed windows soundproof we have you covered. We also serve installation, repairs and maintenance of double/ triple glazed windows, composite doors, Bi-fold doors, roofline services and sliding doors. For more on double glazing Essex or double-glazed windows soundproof get in touch with us today and request for a free quote.